Search "Dhootpapeshwar" 21 results have been found. 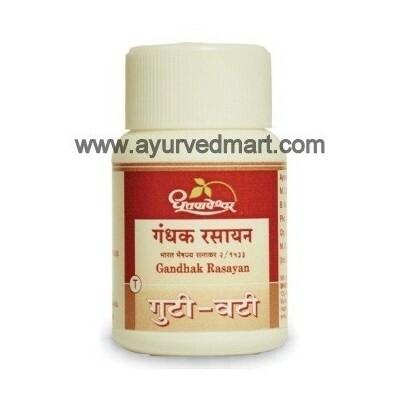 An excellent remedy acting as Shamak, Balya, Rasayan & Mootral on Urinary tract & genital organs. 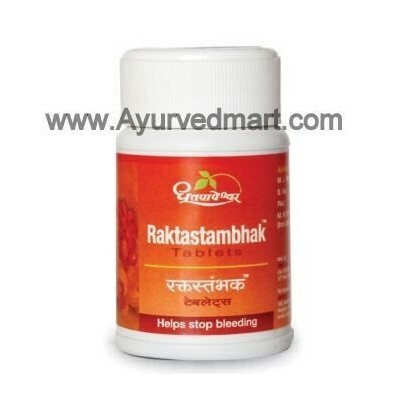 It reduces inflammation in Urinary tract & acts as Vranaropak. 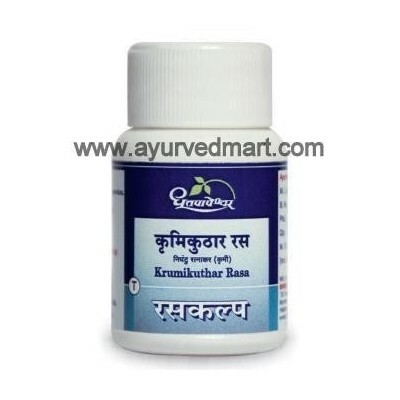 The superior medicine in Kushtha with the main ingredient ‘Gandhak’ which is Kushthaghna, Vishaghna, Jantughna processed with Pittashamak Dravyas. 'Kutaj Parpati' is the combination of Kutaj which is Pachak as well as Stambhak and two more Pachak ingredients like Shankha Bhasma and Musta. 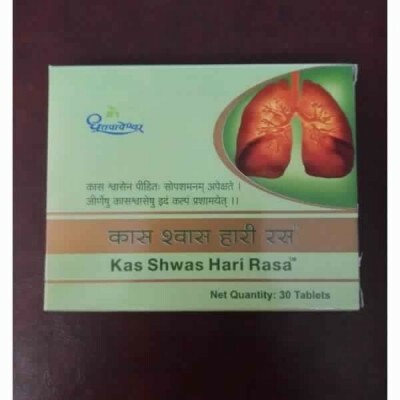 Due to presence of ingredients which act on Grahani and intestine, this Kalpa is very effective in diseases such as Atisar, Grahani and Pravahika. 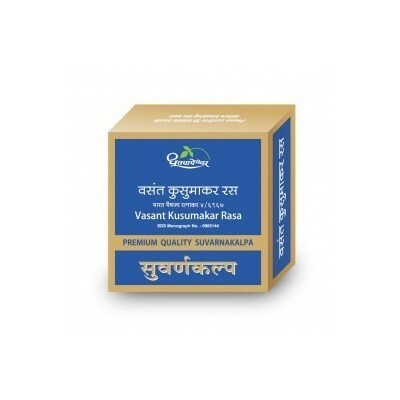 The Raktashodhak & Vatanashak Guggul kalpa most useful in all types of skin diseases with combination of Amruta i.e. (Guduchi) & Amruta Vishesh Shodhit Guggul. 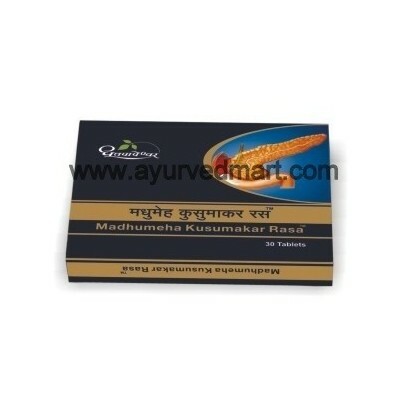 Effective in Pittanubandhi Kushtha & other Sravi Kushtha by reducing foul smell & watery discharge. 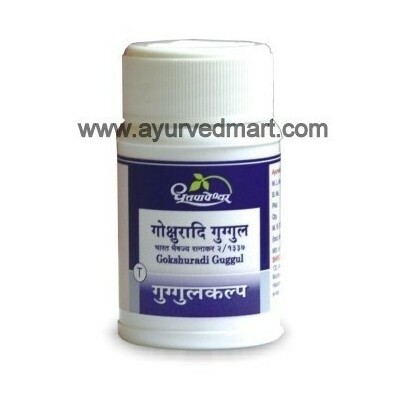 The potent remedy on Mootravaha Srotas Vikar with the ingredient `Gokshur’ famous for its Vatahar & Mootrakrucchranashak property. 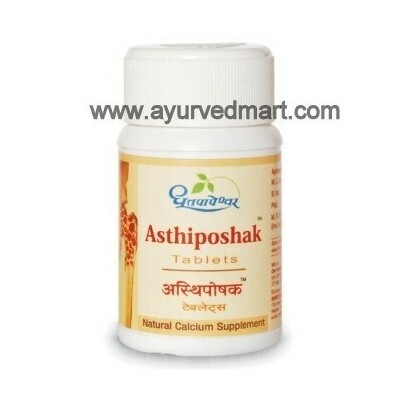 It is effective in Urinary disorders with its Kledanashak & Shothahar activity. Helpful in reducing pain during urination. ‘Kanchanar Guggul’ with the ingredient ‘Kanchanar’ mainly acting as Mansa, Meda Lekhan & Pachan. 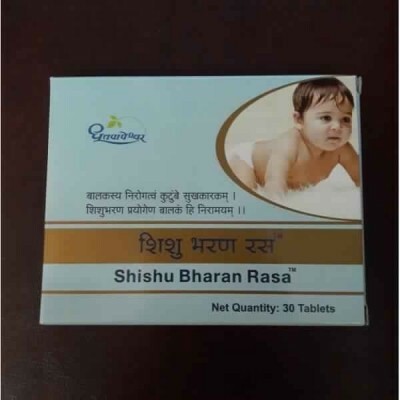 Useful in all diseases due to Mansavaha Srotas vitiation. 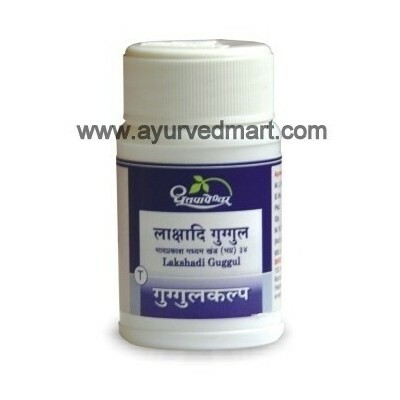 Effective in Sthoulya (Obesity) & Thyroid disorders developed due to vitiation of Medadhatvagni. The Guggulkalpa with the combination of various Bhasmas acting on all types of Jeerna Vatavyadhis. It performs function as ‘Pachan’ in Samavastha & ‘Balya’ in Niramavastha in Jeerna Vyadhis. 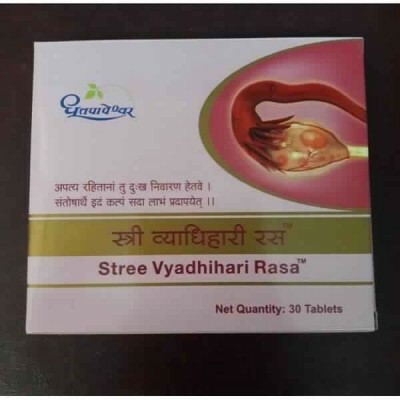 Stree Vyadhihari Rasa is a special Patented product by Shree Dhootpapeshwar for Female related problems like Menstrual, Uterine.